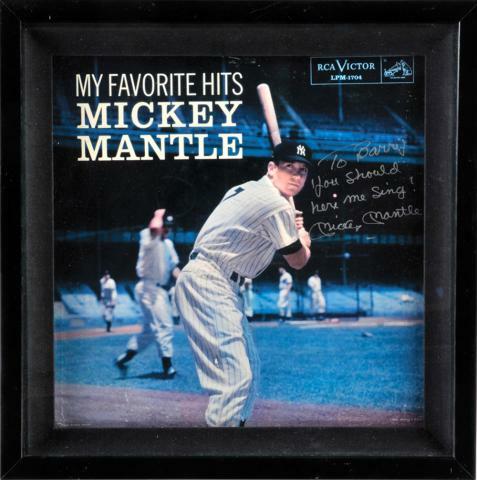 This very rare, one-of-a-kind framed record album featuring the authenticated signature of Yankees Hall of Fame player Mickey Mantle was at one time part of an extensive memorabilia collection belonging to famed collector Barry Halper. Halper owned one of the most extensive collections of sports memorabilia, and Mantle signed and inscribed this 15" x 15" framed piece for his friend. 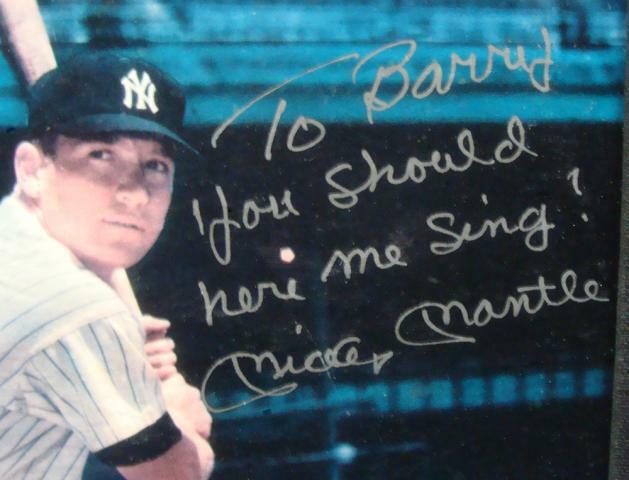 Mantle inscribed, "To Barry You Should hear me sing!" A Full Letter of Authenticity from PSA/DNA is included with this rare item. Due to the very rare nature of this item we must charge your credit card for the full amount immediately upon taking your order. This policy ensures we reserve this memorabilia for you. We will confirm your order by Email. Please allow at least 2 weeks for delivery. 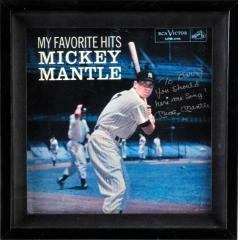 Mickey Mantle Signed Vintage Issue "Baseball 1964"